Banking royal commission: time to shutter the life insurance crooks altogether? The concept of “life insurance”, as most of us understand it, goes something like this: you pay premiums to an insurance company and, when you die, there’s a payout by the company to your family (or, if you’re living in a film noir, your cheating partner and their lover who killed you). The concept is pretty simple. Except, at AMP. There, life insurance works like this: you pay premiums, and when you die, you keep on paying. Yes, AMP makes you pay life insurance premiums after you’re dead — which you would think defeats the purpose of life insurance. 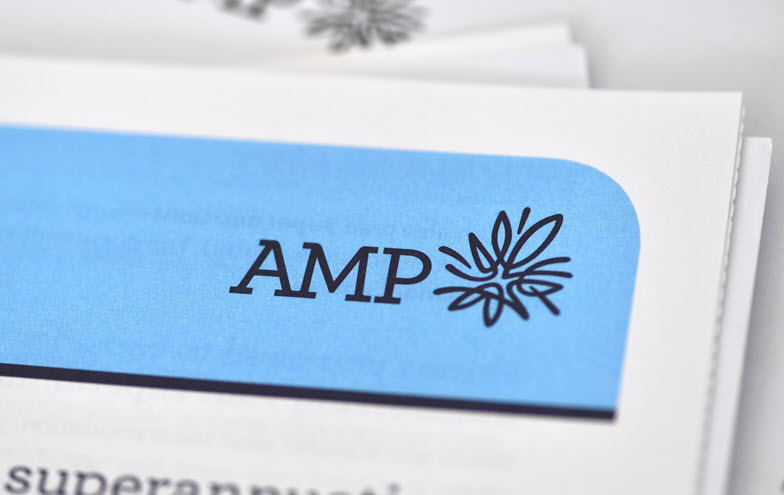 On Monday the financial services royal commission heard how AMP charged over 4600 dead people, despite knowing about the problem for years. The big banks might have thought no one would top their “charging dead people fees” scam. Hold my beer, said AMP. We’ll charge them for life insurance. Not that other insurers have let AMP hog the royal commission spotlight. There was Clearview’s boiler room. Freedom Insurance selling to a young intellectually disabled man. Comminsure playing definitional games to block claims and prevent scrutiny. By Monday we’d moved onto Allianz (the largest foreign-owned company caught up in the commission so far) and its misleading website that offered over 100 false claims about travel insurance, car and boat insurance, home insurance as well as life insurance. Billions of dollars in premiums were taken via the company’s website from late 2015, with some breaches only notified this year to regulators. But personal insurance is where the big problems are. That’s where people have tried to do the right thing by their families, or the prudent thing for themselves in protecting their income — where people have heeded the insurance industry’s constant whine that Australians are “underinsured” — and been screwed over, or sold a pup, or stolen from. It’s systemic and deliberate. And the perpetrators seem totally unafraid of what passes for the regulators in this space. In fact the performance of ASIC in the insurance space is even more pitiful and shameful than in banking. Better regulation, or more funding, won’t fix this. Josh Frydenberg’s claim in his end-of-week media blitz that a power to order compensation is just what’s needed to fix consumer finance regulation is laughable. Regulating personal insurance is like trying to regulate sharks. The solution is to return to government-owned insurance: make insurance available via a government-owned, independently managed non-profit insurer, one that can take advantage of government credit ratings. Establishing such a public insurer would normally be sufficient by itself — with its lower costs and better reputation it would be able to compete effectively against commercial insurers — but the behaviour of the latter is so egregious and damaging that there may even be a case for banning them. The likes of Clearview and Freedom and AMP Life could be shuttered, or at the very least subjected to such draconian oversight as to make profitable operation problematic. This of course reverses the trend of the 1980s and 1990s, when government-owned insurers like GIO in NSW (now owned by Suncorp) were privatised in the name of efficiency in sales that made billions for governments, consultants, bankers and shareholders, but removed most of the protections for consumers. And, yes, it creates financial risks for governments. But those risks are lower than the risk of continuing malfeasance in an industry that has scandal in its DNA. And royal commissions don’t come cheap either. Naturally this would cause fury among investors. The announcement of an aged care royal commission has prompted some vintage whining in (where else?) the Financial Review. “The number one risk is regulation across a wide variety of sectors,” one fund manager told the AFR. “In my view we are in danger of going too far and stifling entrepreneurial activity.” An aged care royal commission “definitely increases the risk premium of regulation,” lamented another. Let’s look at that thinking from a different perspective: what they’re saying is that industries need to be allowed the freedom to gouge and rip customers off because it’s the price you pay for “entrepreneurship”. It’s exactly the neoliberal thinking that has delivered up yet another industry that so egregiously violates community norms even a conservative government is forced to reach for the blunt instrument of a royal commission. So stop whingeing. You’ve brought it on yourselves. Do you think we should nationalise life insurance? Let us know by writing to [email protected]. …. How would you like to be a member of the gang that ran a protection racket for this mob? Perhaps it is time that CEOs face criminal charges for such illegal behaviour. I always thought that the outrageous salaries executives were paid was because they were responsible and therefore possibly subject to criminal charges or civil liabilities. Now, apparently, it is for “shareholder value”. The RC needs to be expanded to be able to examine these issues in more detail, and a follow-on RC into corporate governance should also be called. I agree. The threat of jail time is about the only thing that might actually cause these people to reconsider their appalling behavior. The Royal Commission has confirmed what people already suspected . What people did not know – the wholesale incompetence of the public servants employed to supervise the industries. If we extrapolate this to the rest of the ubiquitous Commissions – they are all likely to be of the same competence. We have seen this already in the Human rights commissions. We should dissolve Commissions and designate them as government departments so there would be a chain of responsibility and accountability. By sustaining these commissions the government is outsourcing governance- all care but no responsibility. The electorate must demand accountability to exercised by their elected representatives. Absolutely. What’s more, let’s extend it to health insurance. And banking, and power supply, and water and anything important to the vast majority of ordinary people that the vampires of democracy have their eyes on. The government should not only actively compete in the insurance industry, but any and all critical or important service areas. This includes banking/finance, energy, telecommunications and pharmaceuticals to name a few, where we are well and truly gouged and generally mistreated. And before you choke on your corn flakes, I don’t mean in the same way as they were run up until they were privatised, like sheltered workshops, but Govt. owned and privately run, actively competing in a broader market. A truly competitive environment that is not just focused on returns, is the best way to curb the behaviour of unscrupulous private operators. Glen must have locked BK in the broom closet to be able to suggest “Big Nanny” insurance with the concomitant question begging re bank, power, health, water, roads and all the other essential services governments, federal & state, T1 or T2, have flogged off to the mates over the last 30yrs. Come back PJK, nothing is forgiven, there is a special cell in Hell awaiting you, the ultimate class traitor. Ah but Bernard, you’ve forgotten how all consumers have homo economicus traits in their DNA. They calmly research all available options across all available brands in view of their clearly and easily assessed needs. Then, armed with “full information” (no asymmetry here!) they make a decision as the rational market players that they are. Those dead people paying fees just weren’t savvy enough consumers! Contrast that with the Territory Insurance Office’s comparatively recent and very sudden flog-off. Katherine residents expected flood insurance premiums to more than double – were it available at all – after the LNP Government suddenly flogged-off the Territory Insurance Office (TIO) in 2014. But, yes, they were wrong – premiums went up by up to six times. Cross-subsidisation meant that – unlike private insurers – TIO offered the same rate for home flood protection regardless of location anywhere in the Territory. Analysts now expect premiums in flood-prone towns like Katherine, 300 kilometres south of Darwin, to increase by several thousand dollars. One example was a private insurers home insurance policy for a house in north Katherine being about 270% more expensive than TIO’s. Katherine is a designated flood-risk area. Not only would such insurance be a heavier impost on business, its unaffordability could result in emergency service workers refusing to provide help in a flood, and instead staying home to protect their possessions. In northern Queensland the inability of some businesses to get insurance, affordably or at all is now a huge problem. Rabid economic fundamentalist claims that price signals will balance risk with efforts at self-protection are insultingly absurd; regions cannot afford to lose businesses and other community entities just because they are priced out by insurers. TIO was a model for Australia according to the head of the federal parliamentary committee on the development of Northern Australia, Warren Entsch. He said the NT was the only place in Northern Australia his committee visited where insurance was consistently available and affordable. 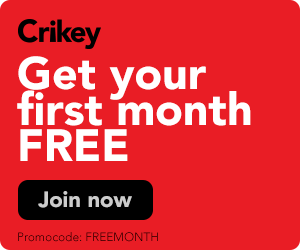 “Everywhere else it was absolute crisis and market failure, and when you could actually get it you couldn’t afford it … When you compare house and contents prices, there was about a $400 or $500 difference between places in Melbourne and Sydney and Darwin. Using the same comparison with North Queensland, if you could get insurance the difference was $3,000-$5,000 more”.